I’ve always found it curious that NZ Chardonnay is so often forgotten, sitting well back in the pecking order behind Sauv Blanc, Pinot Noir and even Pinot Gris. But after chatting to a few NZ wine people recently for a print article it seems Kiwi Chardonnay is on the way back, with enthusiasm (and sales) very much on the up. 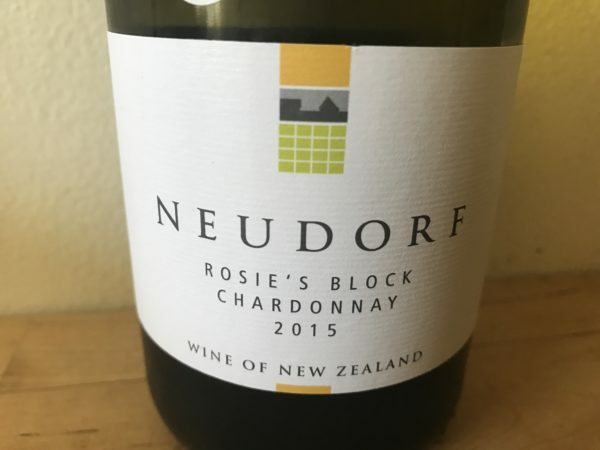 Neudorf are right up the pointy end too with wines like this one. Sourced from ‘Rosie’s Block’ which overlooks the home block. Handpicked and whole bunch pressed, this was wild fermented with lots of solids in barrel (15% new) and spent 10 months on full lees. The attraction with this wine is that weight. It’s leesy, solidsy and ripe, in a style that is almost forgotten here in Australia (but still popular in NZ), all without falling over into blowsiness. There’s a slight warmth to finish, but it just adds to the impact of what is a wonderfully generous style. Crucially, there is well enough acidity (pH 3.14) to keep all that mealy white nectarine fruit in check, with a banana cream finish. This is delicious, full-flavoured Chardonnay in a form that I really like. Perhaps a little big and bountiful, but that is ultimately just part of the style – and it’s ultimately delicious. Best drinking: 2016-2019. 18.5/20, 94/100. 14%, $33. Would I buy it? Sure would.